The wonderful world of David Ireland is not a particularly exciting one – a victory in table tennis will keep me buzzing for a week. In writing this blog, therefore, I was faced with an obvious concern – why would anyone want to read it? I am not a national champion, have never been on a US College Scholarship, and will never run in an Olympic Games. Despite such a blatant lack of credentials, however, I think I still have something to share. I fit into the large majority of athletes who have little immediate prospect of success at top-level competition, but train and compete for self-improvement and love of the sport. I’m sure different aspects of my background will, in their own way, resonate with some readers. a more recent and reinvigorated approach. I had a relatively successful junior career. Good fortune blessed me with some natural talent, and when I started doing some training in Year 7 at St Bernard’s College I discovered that I had the potential to achieve some success. The next few years were the most enjoyable running years I’ve ever had. As a 14-16 year old I attacked each session like a race, and with training company like Mitchel Brown, Mark Blicavs and Johnny and Lachy Rayner I improved substantially. By the time I was finished high school I had a healthy collection of Victorian Championship medals and school records, plus some great memories of interstate trips and team success at St Bernard’s. For many athletes, the end of high school means the end of an athletics career, even without any initial intention of that being the case. While I was never going to give away the sport so quickly, I became one of many who found initially found the mix of post-school life and running hard to swallow. Starting a Biomedical Science/Law degree at Monash University, I found myself squeezing training in around a heavy uni workload, 5 weekly return trips from Essendon to Clayton, and 2 part time jobs. While my 2009 season – my last in juniors – was one of the better seasons I’ve had, I found my motivation wane as the year went on, and I watched as the performances of many of my junior rivals began to surpass mine. By the time I came down with injury at the end of the year, I played with the idea of trying another sport. It didn’t take long, however, for me to realise that it was in running where my heart was. I struggled with the thought of not being fit and not racing, and of leaving the athletics community. I realised that running was a big part of my identity, and that I would stay in it for quite some time yet. Even with this ‘fresh’ outlook, though, the next two years continued on in much the same fashion as 2009, with me unable to achieve any real consistent training. While I ran a few PBs in scattered races, there was no pattern behind my training and my fitness came and went. This I usually again put down to a busy schedule and injuries, but I soon came to realise my perspective still needed work. It was in the second half of 2011 I had my moment of clarity. I was having a discussion with then-athlete Mark Blicavs, and heard the passion in his voice as he spoke of his training and pursuit of improvement. He spoke with an outlook to running so different from mine, and one that I recognised I once had when I was a teenager. I realised how half-baked my approach had been and how easily I could improve if I prioritised athletics highly enough. I had spoken of having a crack at harder training but never followed through. All of a sudden, however, I wanted to have a real go before it was too late. ‘Eureka’ moment or not, I had a 10 month European study/backpacking trip planned for 2012, and this wasn’t going to change. I had the most enjoyable and most fun year of my life in Europe, but made sure I stayed at least somewhat fit for my return. It was running that I looked forward to most of the things I would do once I got back home. 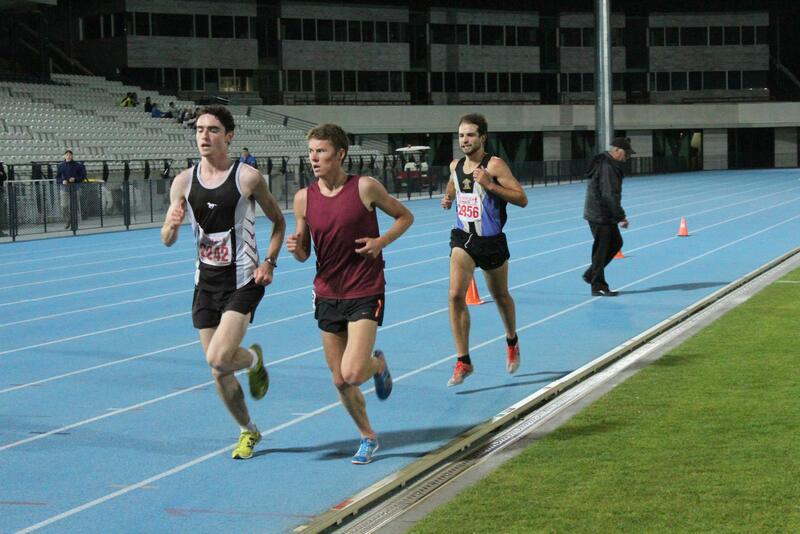 I returned in January and joined Gregor Gojrzewski’s training group at Aberfeldie athletics track. I’ve since had the most consistent and best training year of my life, and am enjoying the sport more than I ever have. 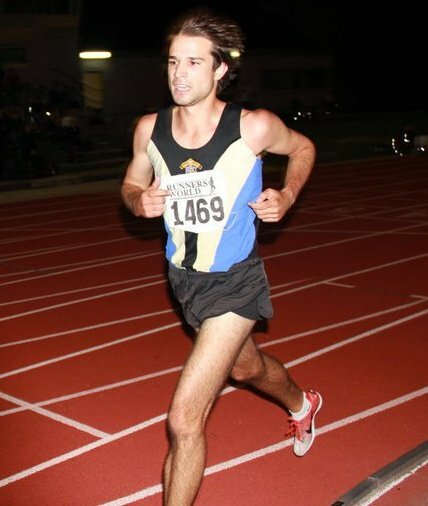 In the last few weeks I’ve opened up the track season by equalling my PB in the 5000m and was less than a second off a PB in my first hit out over 1500m. It has been a promising start, and signs are looking good that the year of commitment will pay off. I’m not sure what is in store for my running once I finish uni at the end of next year and start full time work. For now, however, I am enjoying my training and racing, and have some goals for the season ahead. I’ve learnt a lot about routine and prioritising in this past year. It may have taken me till 23, but through a passion for the sport, some good mates and some commitment, I’m currently in a good place, even if any future medals may be a long way off.